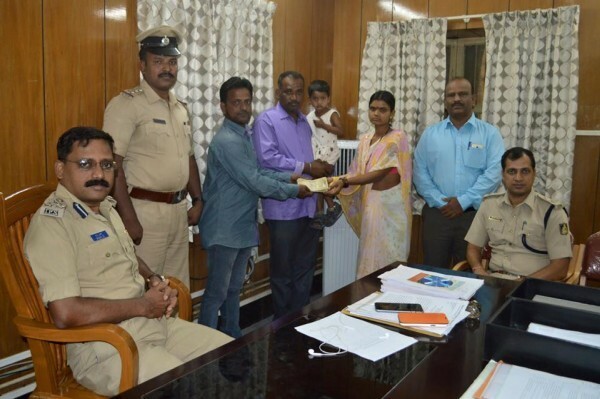 On October 16, Auto-driver, AamirRaza Nazirahemd Hunaskatti set an example of HONESTY and returned 1 lakh cash to police. Today the police were able to find the rightful owner of same namely, Smt Revathi w/o Kaalingappa Hanumasagar r/o Kabbaragi village, Kustagi Taluk, Koppal District. She left behind the money in the auto while going from Belagavi city bustand to Vadagaon on 14th October. found the owner of Rs 1,00,000/-which was promptly handed over to us by our hero auto driver Mr Aamir Raza last week. Smt.Revathi has promised to reward Aamir Rs 25,000/- for his honesty. This Gesture of Honest Auto Driver shows that there r still human beings living on earth.